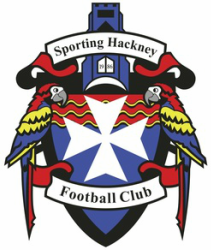 Sporting Hackney FC was born in the borough 30 years ago and now offers the highest level of adult football currently played in Hackney. We are a self-run, community orientated football club working to build a sustainable bridge between high quality youth and adult football in the local area. - Veterans side: playing in the London FA Vets Cup and AFA over-40s cup. Our home ground for all sides is Hackney Marshes while the First team and Reserves both play their home fixtures on show pitch 1 in front of the Marshes Centre pavilion. The club enjoyed it’s most successful season in 2013/14 when the first team won the Middlesex County league and cup double, the second team finished runners-up in the reserves cup and the under 16s won the inaugural Hackney Marshes Saturday Youth League U15/16s division. - building a sustainable bridge between youth and adult football for local young players. Offer a supportive and positive environment in which players can develop, not only as athletes, but also as young people and role models in the community. Sporting Hackney FC was born 30 years ago as part of an initiative to support local young unemployed people in the borough of Hackney. "Individual commitment to a group effort, that is what makes a team work, a company work, a society work, a civilisation work."